I ended up with a 9mm for a fraction of what it would cost at a gun shop. Media was in attendance, both local and international. They did seem somewhat confused by our DIRECT ACTION, as did some of the citizenry trying to TURN IN THEIR GUNS. The sounds bytes on local news all sounded identical: “We are turning in our guns so that no one can break in and steal them, using them for crime”. Well then… How about this? About 50% chose to sell them to us, rather than the police. Some simply sold broken guns for $100.00 worth of food. Think “Cash for Clunkers”… but with Guns. Your tax dollars at work folks. Near the end, the police ran our of Food Cards, and were asking people to give them their guns for free. We were there til the end buying all we could. I estimate about 3 – $4,000.00 was spent by our group. The weapons we purchased will go to those who otherwise cannot afford a firearm, and they will pledge to do some service for the community, and freedom. Thanks to Texans for Accountable Government for organizing the event, and to all who stood in the rain holding signs, and offering an alternative to the city buy back program. We will UPDATE this post as pictures and video comes in..
WHO: Texans for Accountable Government (TAG) and local Austin activists. WHAT: Local activists will be purchasing guns from Austinites in need of a little cash, and will give some of the firearms to law abiding residents in need. The citizens receiving those firearms will be encouraged to participate in community philanthropy. WHERE: The right of way in front of Oak Meadow Baptist Church, 6905 South I-35, South Austin. WHEN: 9 a.m. to 1 p.m. Saturday, Feb. 26. AUSTIN — The fast-talking auctioneer nonchalantly reaches for his gavel, sure that no one can beat the only bid on the floor so far. “$100 grocery card for this walnut-grip, straight-shooting 9mm Browning Hi-Power, from the police officer in the corner. Do I hear $110 ..?” he says, before rattling off an increasing series of numbers. “$110 cash!” comes a lone voice from the back of the crowd, to a few gasps from the crowd. This has never happened before. “Going once, going twice … SOLD!” says the auctioneer, with no higher bids made. Unfortunately, Saturday morning’s Austin Police Department “Guns for Groceries” event won’t be held as a public auction. But local Austin activists are hoping to engage APD in a bidding-war. The plan: To outbid the APD in their effort to disarm the economically disadvantaged while promoting community philanthropy and safety. Texans for Accountable Government (TAG) will be hosting the “Guns for Cash” counter-program on the public right of way in front of Meadow Baptist Church, 6905 South I-35 in Austin, from 9 a.m. to 1 p.m. TAG’s event will provide a means for local activists to offer those trading in their working firearms cash and, as a bonus, the firearm will be used to better their community in a multitude of ways. 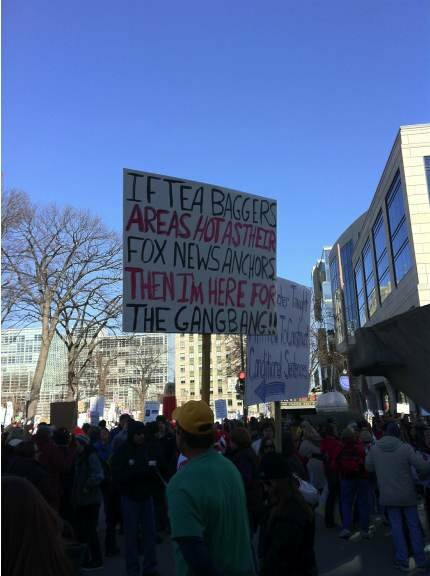 TAG holds strongly to the Second Amendment’s right to bear arms, and agrees with the countless studies that show that firearms in the hands of law-abiding citizens makes for a safer city — not a more dangerous environment as APD’s “Guns for Groceries” implies. While the Greater Austin Crime Commission is paying for the APD’s buyback program, the Guns for Cash program is funded entirely by individual, local activists. The organization TAG is not buying the guns, Bush clarified. “We have already secured $2,000 and are looking for more funds to compete with APD, which will have $30,000 worth of grocery debit cards,” said Heather Fazio, a TAG leader, and a facilitator for the event. Fazio said more donations are necessary to keep pace with APD. Those interested in supporting this cause may e-mail John Bush at LibertyLover512[AT]yahoo.com for more information. • Bring gun and ammunition to the right of way in front of Oak Meadow Baptist Church (6905 South IH-35), Saturday, February 26, 2011, between 9:00 a.m. and 1:00 p.m.
• Upon arrival, tell an activist you are there to sell a gun. Here are some verses to know in the Koran, if you want to know why there is no moderate Islam. This is what they follow today, not something that is considered outdated. It’s considered valid and mandatory for Muslims of today, those who are in everyone’s country, too. There is NO SUCH THING as a “moderate muslim”. 11. (Koran 2:8-10) In their (Non-Muslims) hearts is a disease; and Allah has increased their disease and grievous is the penalty they will incur, because they are false. 14. (Koran 2:39) Those who reject faith (Islam) and belie our signs, They shall be Companions of the Fire and abide in it. 20. (Koran 9:29) Fight those who do not profess the true faith (Islam) till they pay the jiziya (poll tax) with the hand of humility. 23. (Koran 9:73) Prophet, make war on the unbelievers and the hypocrites and deal rigorously with them. Hell shall be their Home: an evil fate. 24. (Koran 4:144) Believers, do not choose the unbelievers rather than the faithful as your friends. Would you give Allah a clear proof against yourselves ? 25. (Koran 47:4) When you meet the unbelievers in the Jihad strike off their heads and, when you have laid them low, bind your captives firmly. Then grant them their freedom or take ransom from them, until War shall lay down her burdens. 26. (Koran 5:33-34) The only reward of those who make war upon Allah and His messenger and strive after corruption in the land will be that they will be killed or crucified, or have their hands and feet and alternate sides cut off, or will be expelled out of the land. Such will be their degradation in the world, and in the Hereafter theirs will be an awful doom; Save those who repent before ye overpower them. For know that Allah is Forgiving, merciful. 27. (Koran 5:51) Believers, take neither Jews nor Christians for your friends. They are friends with one another. Whoever of you seeks their friendship shall become one of their number. Allah does not guide the wrong-doers. 30. (Koran 9:29) Fight those who believe not in Allah nor the Last day, nor hold the forbidden which hath been forbidden by Allah and his messenger, nor acknowledge the Religion of Truth from among the People of the Book, until they pay the Jiziyah with willing submission. And feel themselves subdued. 31. (Koran 9:30) The Jews call ‘Uzayr-a son of God’, and the Christinas call ‘Christ the Son Of God’. That is a saying from their mouth; (In this) they but intimate what the unbelievers of old used to say. Allah’s curse be on them: how they are decluded away from the Truth. 32. (Koran 98:1-8) The unbelievers among the People of the Book and the pagans shall burn for ever in the fire of Hell. They are the vilest of all creatures. 34. (Koran 18:28-30) For the wrongdoers We have prepared a fire which will encompass them like the walls of a pavilion. When they cry out for help they shall be showered with water as hot as molten brass, which will scald their faces. Evil shall be their drink, dismal their resting-place. 35. (Koran 40:67-40:73) Do you not see how those who dispute the revelation of God turn away from the right path ? Those who have denied the Book and the message We sent through Our apostles shall realize the truth hereafter: when, with chains and shackles round their necks, they shall be dragged through scalding water and then burnt in the fire of Hell. 36. (Koran 43:74) ..The unbelievers shall endure forever the torment of Hell. The punishment will never be lightened, and they shall be speechless with despair. We do not wrong, themselves. 37. (Koran 55:41-52) ..That is the Hell which the unbelievers deny. They shall wander between fire and water fiercely seething. Which of your Lord’s blessing would you deny ? 39. (Koran 73:12) We have in store for the unbelievers heavy fetters and a blazing fire, choking food and harrowing torment: on the day when the earth shall quiver with all its mountains, and the mountains crumble into heaps of shifting sand. 41. (Koran 8:73) The unbelievers give aid and comfort to each other. If you fail to do likewise, there will be disorder in the land and great corruption. 42. (Koran 21:96-21:101) ..The unbelievers shall stare in amazement, crying: ‘Woe to us! Of this we have been heedless. We have done wrong.’ You and your idols shall be the fuel of Hell; therein you sall all go down. 46. (Koran 31-37) And burn ye him in the blazing fire. Further, make him march in a chain, whereof the length is seventy cubits. This was he that would not believe in allah Most high amd would not encourage the feeding of the indignant. So no friend hath he here this day. Nor hath he any food except the corruption from the washing of wounds. 47. (Koran 56:52-5)6 Ye shall surely taste of the tree Zaqqum. Then will ye fill your insides therwith, and drink boiling water on top of it. Indeed ye shall drink like diseased camels raging with thirst. Such will be their entertainment on the day of Requital! 49. (Koran 2:39) Those who reject faith shall be the companions of the Fire. 50. (Koran 2:89-90) The curse of Allah is on the unbelievers… humiliating is the punishment. 51. 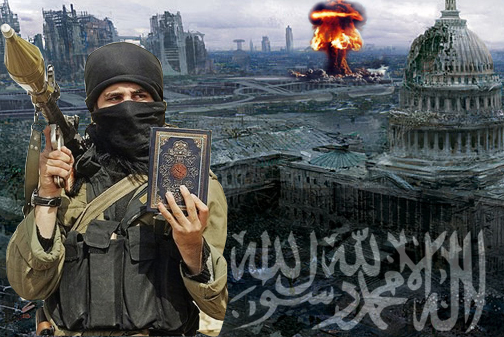 (Koran 13:13) ..He hurls his thunderbolts at whom he pleases Yet the unbelievers wrangle about Allah..
52. (Koran 58:5) Those who resist Allah and his messenger will be humbled to dust. 53. (Koran 70:15-16) The fire of Hell will pluck out his being right to the skull..
54. (Koran 5:10) As for those who disbelieve and deny Our revelations, they are the heirs of Hell. More Terror and Treason From Those “peace-Loving” Muzzies. And we know AG Holder and the D.O.J. (Department Of Jihad) won’t do a damned thing about it. Saturday at 2:30 EST on Family Net and Sunday at 4:00 EST on ALN, Rep. Sue Myrick will be our guest to discuss border security and Hezbollah. You can also see our any of our previous three shows online. Sharia criminal law, for example, demands and routinely applies capital punishment for apostates from Islam,11 directly contradicting U.S. constitutional rights to freedom of faith. In late Sept. 2009, Former Muslims United sent polite, respectful requests to several dozen U.S. Muslim leaders, that they sign its Freedom Pledge to protect lives, property and rights to freedom of faith for all former Muslims. Pledge recipients included FCNA chairman Muzammil Siddiqi,12 vice chair Muhammad Nur Abdullah, executive director Zulfiqar Ali Shah, executive council members Mohamad A. El Sheikh, FCNA executive trustee Jamal Badawi, Abdur Rahman Khan and Zainab Alwani and member Ishan Bagby.13 All falsely attest to moderation. None replied. None signed. On Mar. 24, 2003 at Islam Online, Abdullah, Badawi and Siddiqi condoned “Seeking Martyrdom by Attacking US Military Bases in the Gulf,” a ruling of anonymous “muftis” mandating maiming and murder of U.S. troops in the Middle East. “[A]ttacking American soldiers who came to launch war against Muslims is an obligation and Jihad, as they are true invaders,” the fatwa commands. Such obligatory jihad, moreover, would deliver “the highest degree of martyrdom” to Muslims “killed” so doing:24 Eternity with 72 virgins. In 2008, a federal jury unanimously convicted five Holy Land Foundation officers of 108 counts of funding Hamas, money laundering and tax fraud. 25 Prosecutors also pronounced FCNA executive trustee Jamal Badawi and FCNA member, trustee and former Islamic Association of Palestine (IOP) director Muhammad al-Hanooti 26 unindicted co-conspirators (with many MB organizations). A circa 1978 immigrant 27 — and unindicted co-conspirator in the 1993 World Trace Center attack — Hanooti remains in Washington D.C. 28 A preponderance of publicly accessible evidence prompted the New Orleans 5th Circuit Court of Appeals in Oct. 2010 to leave all HLF unindicted co-conspirator designations unsealed and intact. 29 Badawi, Hanooti et all remain highly suspect. The House of Islam (“peace”), dar al-Islam, includes those nations that have submitted to Islamic rule, to the soul crushing, liberty-condemning, discriminatory law of Sharia. The rest of the world in in the House of War, dar al-harb, because it does not submit to Sharia, and exists in a state of rebellion or war with the will of ‘Allah.’ No non-Muslim state or its citizens are “innocent,” and remain viable targets of war for not believing in ‘Allah.’ The Christian, Jewish, Coptic, Hindu and Zoroastrian peoples of world have suffered under subjugation for centuries. The Dhimmi-esce are forbidden to construct houses of worship or repair existing ones, economically crippled by the heavy jizya (tax), socially humiliated, legally discriminated against, criminally targeted and generally kept in a permanent state of weakness, fear and vulnerability by Islamic governments. Islamics/Muslims Building Their MASSIVE Infidel-Hating Army of Destruction Here NOW. I’ve been screaming about this dire situation for a few years now, and it’s finally being reported in the media. We’ve seen video and reports from all over the United States showing islamic terrorist training compounds in each and every State across this country, and they continue to POUR across our Mexican & Canadian borders, as well as through our un-monitored and very poorly managed education and work visa programs. And last week, we learned that obama announced he is bringing in ANOTHER 80,000 islamic “refugees” this year under the “refugee” program. They’ve got an entire army of Infidel-HATING islamics here on our soil, and obama continues to bring more of his brothers in islam into OUR country at a time when we’re teetering on the brink of total destruction. We’re in BIG trouble, my Friends. I suggest you prepare yourselves for what’s ahead. It’s important that you locate these terrorist training camps within your communities and WATCH THEM. This will not end well. For ANYONE. On a tip provided by a concerned American yesterday, information has been discovered indicating a widespread network of radical Islamist sleeper cells in the U.S. that have quietly blended in with communities so as not to arouse suspicion. Evidence indicates that the cells are lying in wait, possibly in order to receive a signal to embark on a simultaneous mission to murder hundreds of citizens. Several pieces of information from several sources indicate a troublesome scenario. 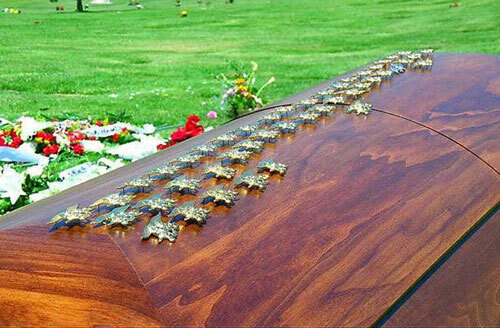 During Mike Monsoor’s funeral in San Diego, as his coffin was being moved from the hearse to the grave site at Ft. Rosecrans National Cemetery, SEALs were lined up on both sides of the pallbearers route forming a column of two’s, with the coffin moving up the center. 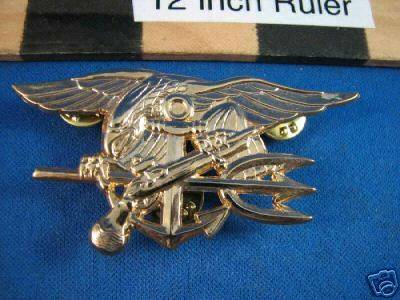 As Mike’s coffin passed, each SEAL, having removed his gold Trident from his uniform, slapped it down embedding the Trident in the wooden coffin. The slaps were audible from across the cemetery; by the time the coffin arrived grave side, it looked as though it had a gold inlay from all the Tridents pinned to it. This was a fitting send-off for a warrior hero. 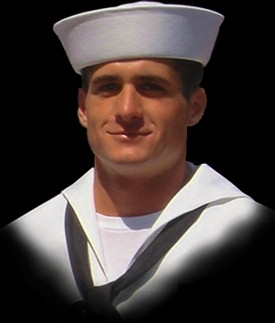 GOD BLESS YOU, Michael A. Monsoor, for your brave and selfless act.